Prior to July 1, there were no provisions for bicycle parking near for the July 4 Independence Day celebration on the National Mall. BAC drew attention to this issue and appears that bike parking is now available. The July 4th festivities on the National Mall allow visitors and those who live in the greater Washington area, the opportunity to celebrate the nation's independence. However, given the enhanced security checkpoints surrounding the area, getting to the Mall is nothing to celebrate. With Metrorail setting ridership records and well has suffering break downs routinely, visitors and residents turned to bicycles. 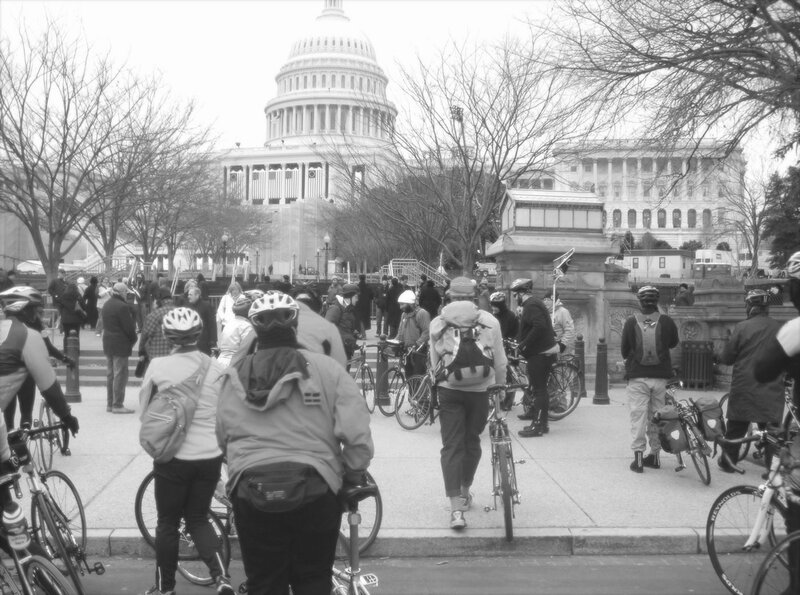 In prior years, the National Park Service (NPS) contracted with the Washington Area Bicyclist Association to manage bike valets at large Mall events like the Presidential Inauguration, the Cherry Blossom Festival and the Independence Day celebrations. As of July 1, GoDCGo, which is a transportation initiative sponsored by the District Department of Transportation (DDOT), stated that no bicycle valet option this year. While bikes are allowed within the security perimeter, getting bikes through the checkpoints and then carrying them throughout the day is not optimal. This problem is compounded because Metrorail prohibits bikes on the system July 4. Instead of relieving the potential crush on our transit network, those who could have used transit to bring bikes and safely park them with limited options. BAC contacted NPS to confirm that it was not offering bike valet service or additional provisions for parking but they did not respond as of this posting. GoDCGo did respond initially saying that no bike valets were planned for the Mall. After discussion, GoDCGo later said that it was looking into plans for additional parking and are hopeful that some sort of bike valet could be made available. @DCBAC @DCParksEastNPS @ranpuba Good news! 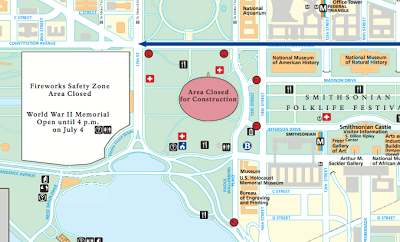 There may be a bike valet and additional parking for Independence Day. Still waiting on details. 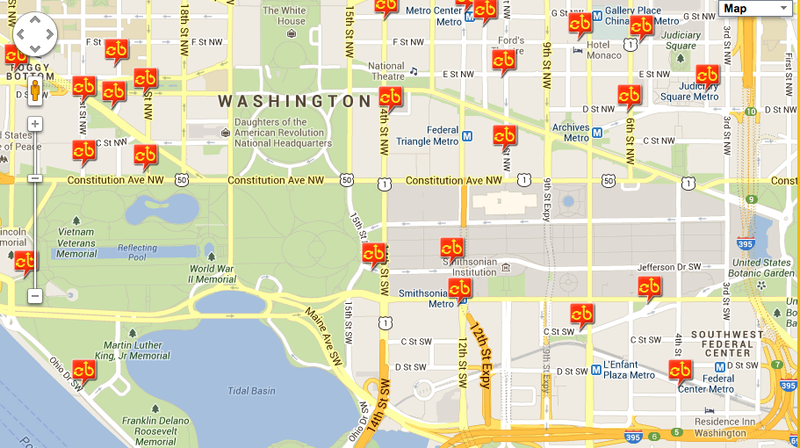 As of July 2, the NPS access map shows bike parking near the corner of 15th and Independence Avenue NW. The full map can be found here. The circle 'B' represents event bicycle parking. Map provided by the National Park Service. BAC contacted Capital Bikeshare to determine what it would be doing to accommodate the potential crush of users to its system near the National Mall. They said that while its bikes would likely be allowed in and out of the security perimeter, the bikeshare vans, which help redistribute bikes throughout the system, would likely not be allowed. Bikeshare has several stations near the Mall, especially north of Constitution Avenue NW but many of those stations may be filled early. 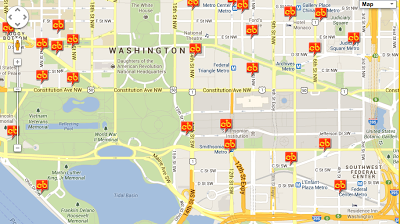 Bikeshare Stations near the National Mall. To mitigate the potential crush, Bikeshare stated that it would operate a bike corral, a makeshift, dockless bike station that allows for the mass storage of its bikes, for much of the day. @DCBAC Also, we have a @bikeshare corral at 10th and Constitution from noon to 1 hour after the fireworks are done. BAC will continue communicating with DDOT, GoDCGo, and Capital Bikeshare and let you know here or on twitter @DCBAC if bike parking or other accommodations are confirmed and where they will be located.